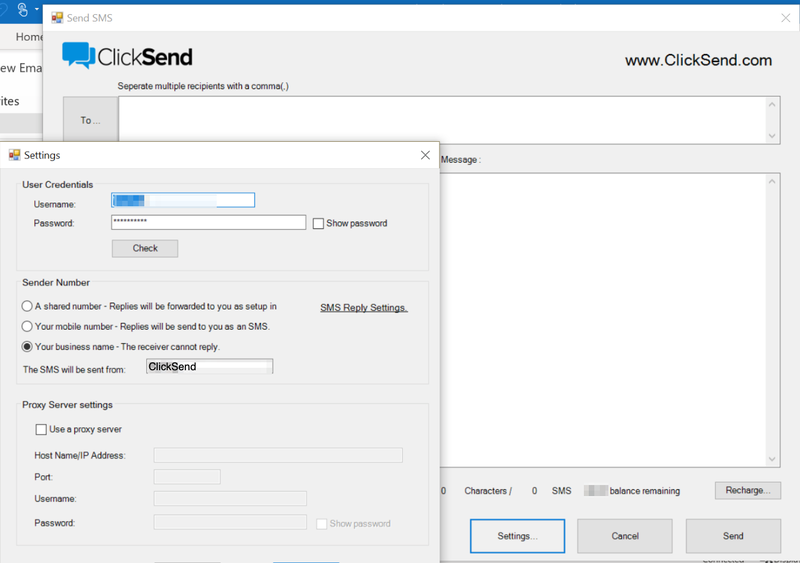 ClickSend Help Docs - Can I use a dedicated number or my own number with the Outlook Plugin? All Categories ​>​ SMS ​>​ Can I use a dedicated number or my own number with the Outlook Plugin? Under the From/Sender settings area, choose use your own number. Enter the dedicated number or your own number.